Trent Kaniuga is a veteran artist who has worked extensively in both video games and comics. Blizzard fans especially might recognise his contributions, where he’s been involved in everything from vanilla WoW to Diablo III to Hearthstone. 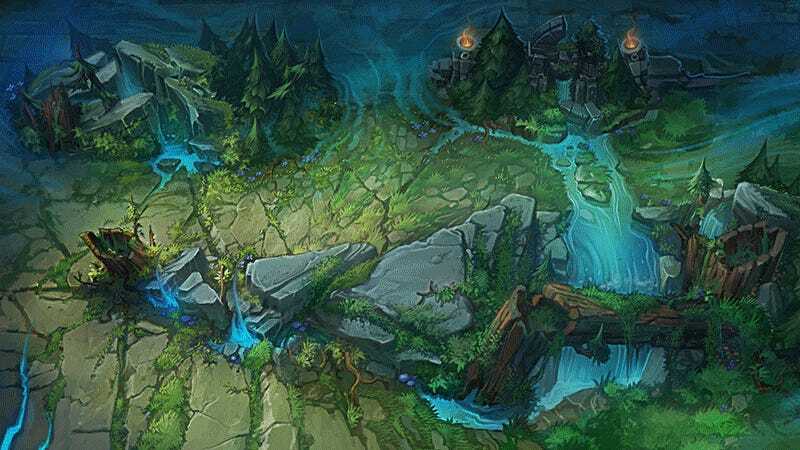 Trent has also worked on League of Legends, and below you’ll see examples of his designs on stuff like icons and Summoner’s Rift itself. He’s also worked for companies like Capcom, Sony and Marvel. You can see more of Trent’s work at his personal site.